Whichever style your home reflects, rustic, elegant or modern - our distinctive accents will help pull everything together. From vases and wall art to throws, candles, candleholders, lamps and more you're sure to find the perfect finishing touch. Lampe Berger, the leader in innovations for air care, purifies the room air by destroying unwanted odors and providing long-lasting fragrance. The exclusive diffusion system actually cleanses the interior air in your home. The unlimited designs and amazing fragrances make Lampe Berger the perfect compliment to any décor. 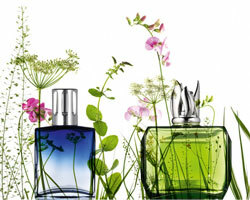 Come in and experience our scent samples to help you decide what’s right for you and your home. 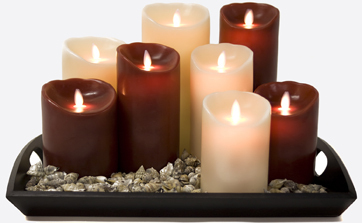 Reallite candles are battery operated, genuine wax candles. Using an LED light and patented electromagnetic technology, Reallite features a moving flame that shines and dances around, creating the realistic illusion of a true burning candle. Reallite candles use two AA batteries and offer a smart-timer. The smart-timer will illuminate the candle at the same time each day and stay lit for 5 hours, automatically turning itself off. No dripping, no smoke, no burns, no mess, no heat, no worries. Awarded the 2011 ‘best gift for the home’ by Retail News Magazine. Each lost + found art block is hand crafted using traditional plastering techniques applied in multiple layers of wood. 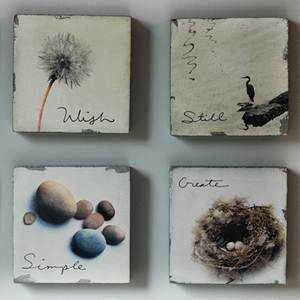 All cedar mountain art blocks are designed and manufactured in their own backyard studio by their talented team of nine people, two dogs and a cat. They continue to craft products that they hope will make you stop, read, ponder and laugh. We want to surround ourselves with the things we love: clean, simple designs that reflect our modern world and extend our welcome while entertaining friends and family. 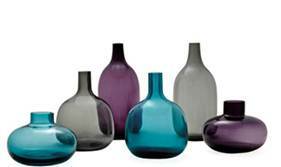 Products that complement our varied, vibrant living spaces and bring individual style to every room of the home. Torre and Tagus update their collections twice a year by introducing over 500 new items that capture the latest trends and styles from around the world. There is nothing more exciting than well-designed décor and accessories that not only please the eye, but bring form and function to everyday life.